When signing up to Peergrade we assign you a user type: teacher or student. However, if we fail to assign you the correct user type it's possible to change it. Clicking your name in the top right of the header will take you to your account information on the User Settings page. 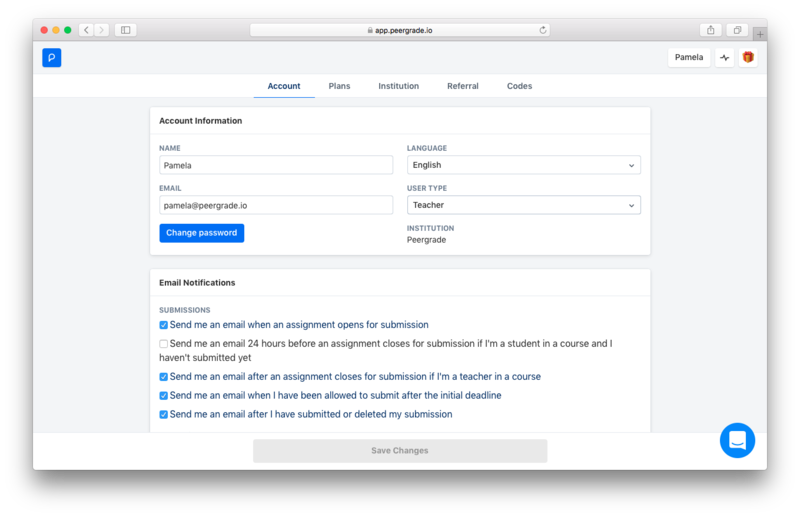 Here you will be able to see and change your user type between Teacher and Student. If Student is selected your Overview will not show the Create class button and you will not be exposed to information about your plan type. If Teacher is selected all of Peergrade's features are available to you.